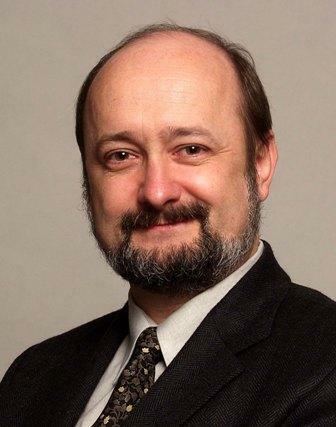 Language Technologies Institute Professor Alex Waibel has been named a 2015 IEEE fellow. Language Technologies Institute Professor Alex Waibel has been named a 2015 IEEE fellow in recognition of his technological contributions to society. The IEEE is the world's largest professional association dedicated to advancing technological innovation and excellence for the benefit of humanity. The IEEE Board of Directors awards the rank of fellow to a person with an outstanding record of accomplishment. Waibel, who is also a professor at the Karlsruhe Institute of Technology (KIT), was cited for his contributions to neural network-based speech recognition and translation and to multimodal interfaces. Waibel heads the International Center for Advanced Communication Technologies (InterAct), a lab operated jointly by CMU, KIT and other universities that develops software and systems for speech-to-speech translation and human-machine translation. He joins the university's Howie Choset and Diana Marculescu in the 2015 class of fellows. Through its 400,000 members in 160 countries, the IEEE is a leading authority on a wide range of areas, from aerospace systems, computers and telecommunications to biomedical engineering, electric power and consumer electronics.